If you didn’t know any better, last Thursday nights’ preseason tilt between the Vancouver Canucks and Edmonton Oilers may have been a regular season contest. The two division rivals combined for 80 penalty minutes in a surprisingly nasty preseason affair. While Saturday nights’ preseason finale was a little more tepid, the Thursday night game showed that there is no love lost between these two old Northwest division rivals. Vancouver has had Edmonton’s number over the past couple of seasons, but have enough things changed this offseason to flip the script? For the first time in this Sizing Up series can the Vancouver Canucks say they had a record over .500 against a division opponent as the Canucks boasted a 3-2 record over 5 games versus the Oilers. 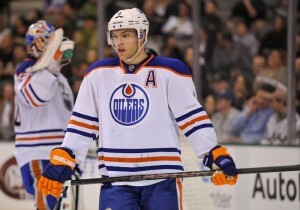 Canucks fans will have to get used to seeing a lot of the Oilers, as I’m sure they are, especially early in the season. Including preseason, Vancouver will have faced off against the Oilers 6 times before December roles around. The Canucks are integrating a new system, new players and a new culture into the hockey club. The amount of games against the Oilers is beneficial to Vancouver because Edmonton is a familiar opponent that the Canucks have had success against and Rexall place is a familiar barn that’s not too far away. For a team experiencing as much change as Vancouver is, games against a team they know they can beat will help ease the pressure of the unknown, especially in the early stages of the season. The April 11th game against Edmonton is also the season finale for the Canucks. If the Canucks’ season is to go as expected, the finale may be the game that decides if Vancouver is a playoff team or not. The Oilers would probably like nothing better than to play spoiler against a division rival and the last game of the season is set up to be a particularly nasty contest. 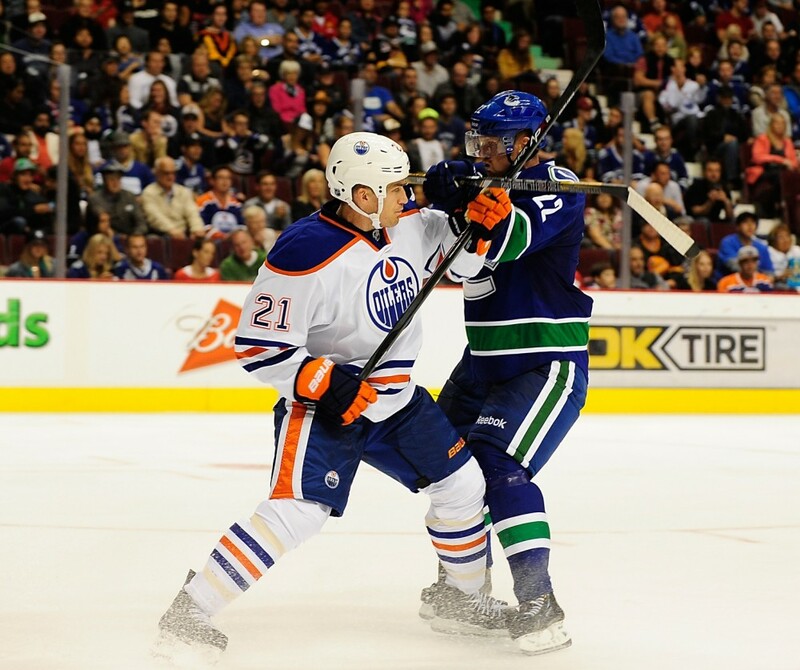 Will Edmonton Finish above the Vancouver Canucks in the Standings? For Vancouver Canucks fans, the idea that Edmonton, especially recently, would ever finish above the Canucks in the standings is almost obscene. Edmonton hasn’t finished above Vancouver at the end of the season since 2007/08 and that year they tied for points at 88 a piece. But Edmonton has amassed a stable of great young talent while Vancouver’s core may be on a downward trend. It’s only a matter of time before the Oilers figure it all out, right? Of course, most people thought Edmonton was ready to turn the corner around last season, and look how that ended up. But when talking about this team, pundits seem to be taking a pessimistic approach. There’s talent on this team, but history has taught us otherwise than to get too caught up in the offensive talent. It probably won’t happen this year, as there are too many questions surrounding Edmonton’s defense. But the gap between the two teams is closing, and the match ups this season can show how far the Oilers are away from Vancouver. 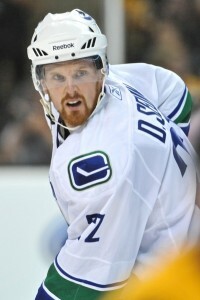 Key Match up: Can the Sedins keep it up? Daniel and Henrik Sedin have always seemed to play their best hockey against Edmonton. With all the questions surrounding the Oiler’s back end and goaltending, as well with the addition of Radim Vrbata, don’t expect this trend to change all too much this season. Recreating “the shift” on a consistent basis would be too much to ask of the Sedins, but the video serves as an example of the type of dominance the twins have had over the Oilers throughout their careers. Daniel and Henrik combined for 7 points over 5 games last season against Edmonton and while those numbers don’t scream dominance, they show that the two can still be effective against a team they’ve had success against. The twins are also primed for a bounce back year. While they are both 34 and their best years may be behind them, they are still two great hockey players that have a little something to prove to the pundits. 2 out of Vancouver’s first 3 games are against the Oilers, and the contests serve as an opportunity for the twins to show their much written about demise may been premature. Come back to The Hockey Writers tomorrow for the final instalment of the “Sizing up” series with a look at the opening match up against the Calgary Flames.